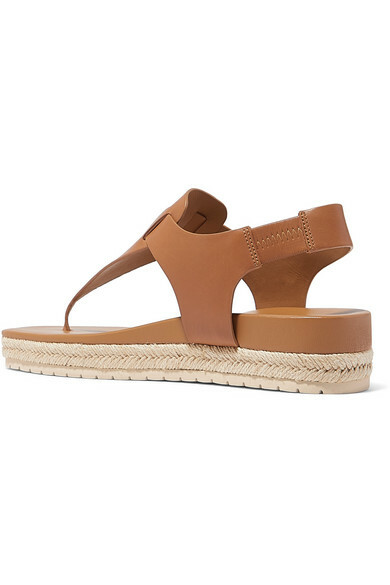 If you tend to find flat sandals too unstructured, then Vince's 'Flint' pair might be exactly what you're looking for. 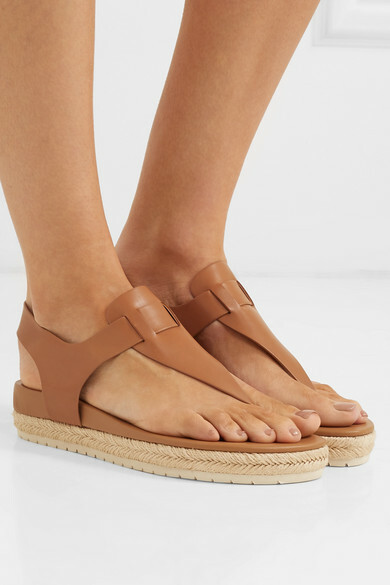 Made from tan leather with a supportive T-shape strap, they have an espadrille stacked sole finished with a layer of serrated rubber. 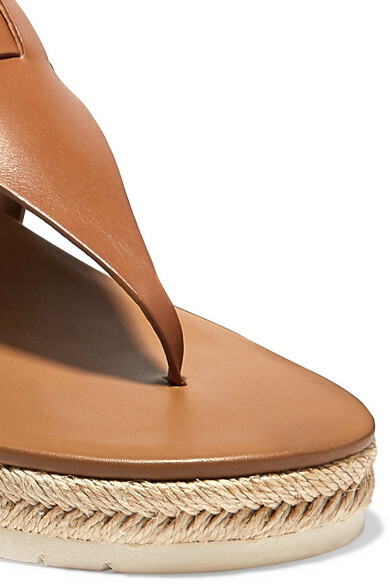 Wear them instead of sneakers as the warmer months draw in. 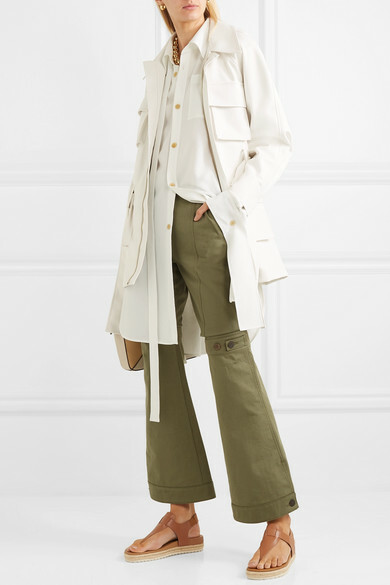 Shown here with: LOW CLASSIC Jacket, Loewe Shirt, Loewe Pants, Loewe Shoulder bag, Laura Lombardi Necklace, Laura Lombardi Earrings.